As the beta keys have started to roll out to select people, with more keys to be sent between Friday, Feb 14th and Feb 17th, new details about Titanfall are starting to emerge. 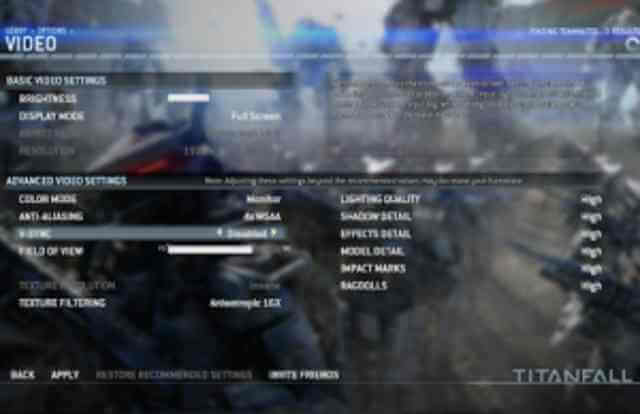 A user in the PC beta has posted a picture of the video settings options that will be available in Titanfall for players to select. The setting include changing your FOV, color mode, aliasing, and more. All the settings can be seen in the image above.